If you’ve decided to get into tenkara fishing, you’re probably wondering what gear you need to get started. The answer will be a little different for people who have fly fishing experience and already have some gear they can apply vs. people completely new to the sport who are starting from scratch. But the good news is that in either case, you only need very little gear to start tenkara fishing. In this post, I’m going to give you a simple checklist of the essentials you will need to start tenkara fly fishing, suggest some optional gear, and point out a few things that you don’t need (no matter what anyone tells you). There are many choices now in tenkara rods and it’s beyond the scope of this post to go into a lengthy discussion about how to select the rod that’s right for you. Fortunately, there are many forums and online resources where you can get great feedback to help you narrow it down. Ideally, you would buy a few different rods to cover different situations. 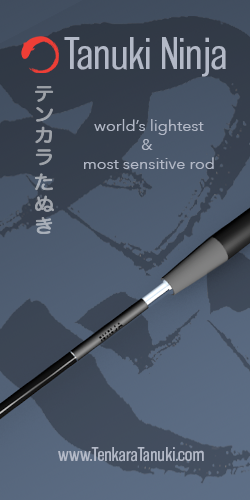 But if you’re just breaking into tenkara, you probably want to start with just one rod. In this case, I’d go for the most versatile action and length (you can always get other rods for more specific applications later). If you’re already a western fly angler, I’d suggest the Tenkara USA Iwana 12′ because it has a stiffer action that tends to resonate more with anglers who are used to the comparatively faster actions of western fly rods. If you’ve never fly fished a day in your life, I’d suggest the Tenkara USA Ayu. It’s a 13′ rod with a softer action that is a little easier to cast for beginners. Both are great rods and are versatile enough to work in a wide variety of situations. 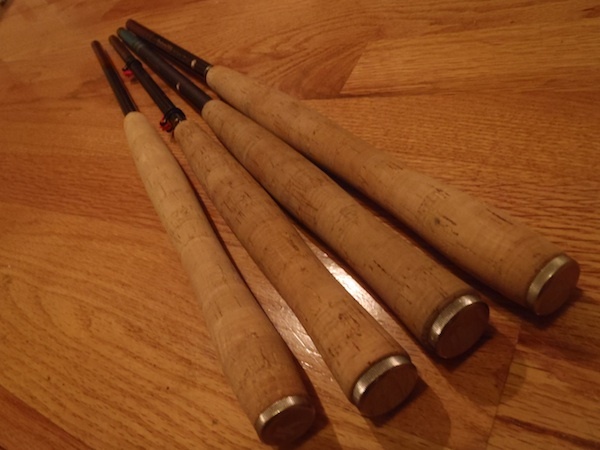 The best thing to do is to post the types of fish and fishing conditions you’ll be facing most in the Tenkara USA forums and get some feedback from the tenkara anglers there on which rod will work for you. 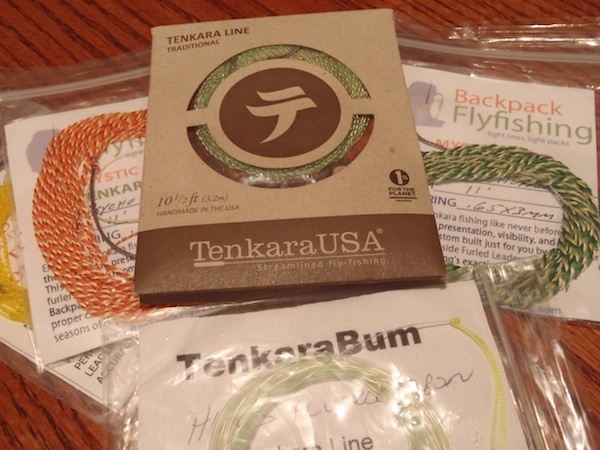 There are two popular types of tenkara lines: furled and level. To get started, you really only need one line but it’s probably not a bad idea to buy two or three just in case you lose or break one (or two). Both types have their advantages and disadvantages. 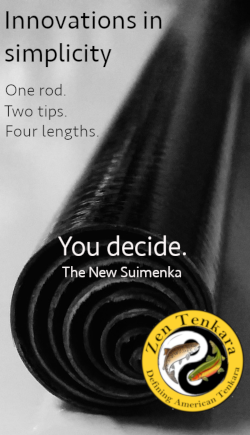 For a more detailed exploration of which line might be best for you, check out my article, “How to Choose a Tenkara Line”. Tippet is the thin monofilament that connects the tenkara line to your fly. 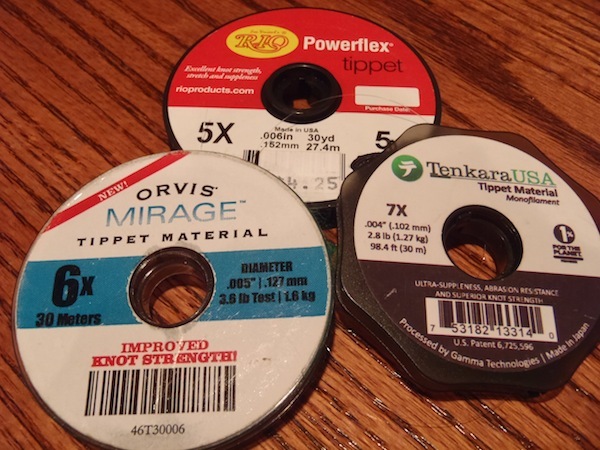 There isn’t any special tippet specific to tenkara so if you’ve already got some, whatever brand you have will work. If you need to get some, the maximum size recommended for use with tenkara rods is 5X (anything heavier could break the tip of the rod on a snag, hard hook set, or large fish). I recommend getting three spools of tippet: 5X, 6X, and 7X. You’ll probably end up using 5X and 6X most of the time but it’s nice to have the option of using the smaller diameter 7X on spooky fish with tiny flies if you have to. You’ll need a good line clipper (also called a “nipper”) to cut off the excess tippet material from the knot you used to tie on your fly. They’re cheap and very convenient. Some fish will even refuse an artificial fly if they see the tag end of a knot hanging off a fly and so I consider this a necessary piece of gear. Of course, you’ll need flies to catch the fish and something to keep them in. Again, a discussion of which patterns to stock is beyond this post. Check at your local fly shop for the most productive patterns in your area for each season. As for what to carry them in, a simple plastic compartment box is all you need to get started. Many tenkara anglers (including me) usually only carry one box with a few patterns and that’s all you really need to get started. 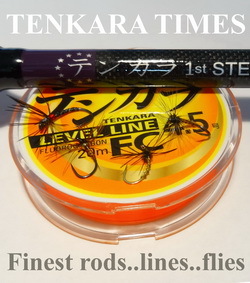 If you’ve already got flies that you have confidence in, those will work for tenkara fishing too. 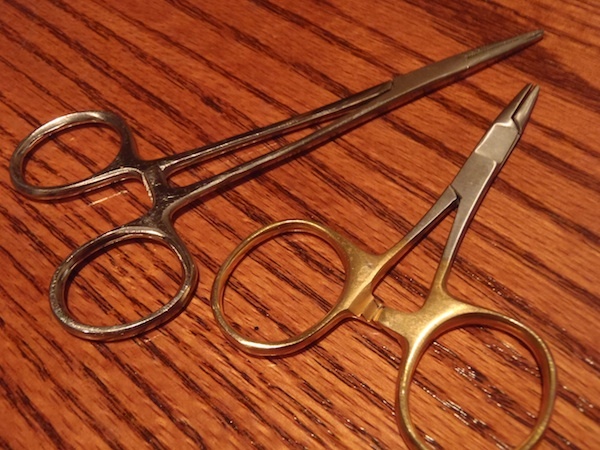 Hemostats (or, “forceps”) are an invaluable tool. They are most useful to remove the hook from the fish’s mouth but can also be used to smash down the barbs on hooks causing less damage to the fish (or you if you accidentally hook yourself). I always encourage the use of barbless hooks. It’s an old wives’ tale that you lose fish on barbless hooks. In fact, I think you actually land more fish because you get a better hook set without the added resistance of the barb. I have been fishing barbless hooks for 20 years and don’t feel I’ve ever lost a fish because of it. It easier on you, on the fish, and is just a best practice as a responsible angler. You don’t really need a net but I have had plenty of occasions where I was glad I had one. You can land a fish by hand but a net is kind of an insurance policy against losing a fish at the critical moment when you grab the line to pull it in. A well-designed net is also more fish friendly with fine mesh that won’t damage gills and fins before release. 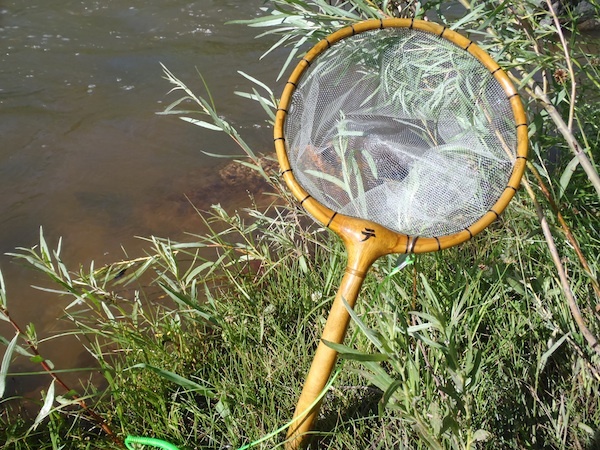 For more about tenkara nets, read my article, “Nets for Tenkara Fishing”. Line spools are not necessary but are a nice convenience. 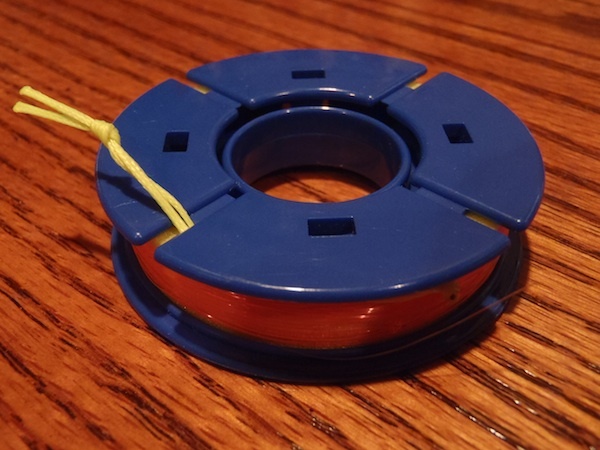 The main reason you might want to have a line spool is that it’s the perfect place to store your line after you collapse the telescopic tenkara rod (especially if you need to move from place to place). You could just coil it up with your hand and stick it in your pocket but this often leads to tangles. The spool eliminates this. Another advantage is that you can have your tenkara line completely rigged up with your tippet and fly stored on the spool. When you’re ready to fish, just peel off the line, attach it to the rod and you’re ready to fish. This significantly cuts down on rigging time and lets you start fishing faster. 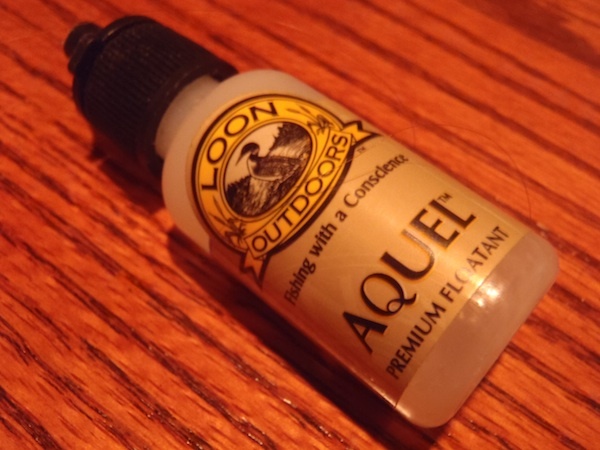 Fly floatant is a paste (usually silicone based) that helps waterproof flies to help them float better. Some people denounce using it because of environmental concerns but it does make a difference in helping your flies float. I’ll leave it up to you to decide if you think using floatant is a good idea or not. As an alternative, you can just make a few false casts (casts in the air) to shake off the excess water from your flies and make them float better. There are surely some purist tenkara anglers out there who would argue against me putting these under the “optional” category and who would say I should put them in the “gear you don’t need” category below, but let me explain. 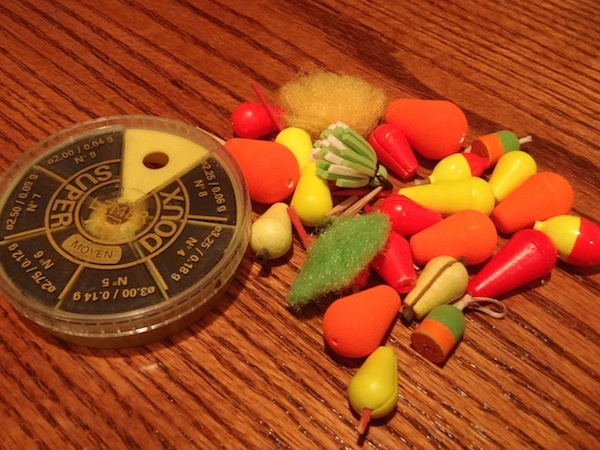 First off, a strike indicator is a small, floating “bobber” that helps you detect when a fish strikes a sinking fly. And split shot are small lead weights that help the fly sink. This technique is highly effective and very popular in western fly fishing; however, purist tenkara anglers don’t use this method. Instead, they use other techniques to make a fly sink when they want to. The reason I listed this under the “optional” category is because there are certain situations where this might be the most effective technique and a significant number of western western anglers have carried it over into their tenkara fishing. Personally, I do not use strike indicators or split shot when tenkara fishing. The weight they add to the end of the line makes your cast sloppy and inaccurate. I prefer to use the more traditional ways of getting a fly to sink if I have to, but again, that is something you have to decide for yourself. If you’re coming to tenkara with a fly fishing background and are accustomed to using strike indicators and shot, then you might try it for a while and then ween yourself off it. If tenkara is your foray into fly fishing, I’d recommend trying it without them and seeing how it goes. By now, you know that you don’t need a reel. This is the greatest single cost savings in tenkara. 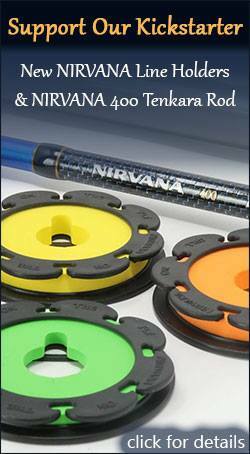 With decent fly reels ranging anywhere from $100 to $500 these days, tenkara can instantly save you hundreds of dollars! High-performance western fly lines range anywhere from $50 to $100 (or more) so this is another significant area of savings. Plus you don’t have to buy line cleaning supplies to maintain it. When you have a fly reel and western fly line, you need to add backing behind the line to fill up the spool and give you extra line if the fish runs. Not with tenkara! One less expense and several less knots to learn! Since you don’t need a lot of gear with tenkara, a vest isn’t necessary. My vest cost $200 and I never wear it anymore. 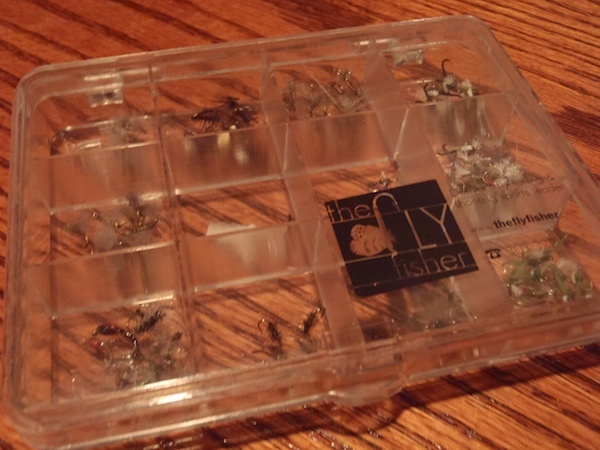 I just carry a small pack around my neck with one fly box, a few tenkara lines and some tippet. As I mentioned above, without a western fly line and backing, you won’t need special knot tying tools. In tenkara, all the necessary knots can be tied by hand. Other than hemostats, you won’t need any fancy gadgets to start tenkara. 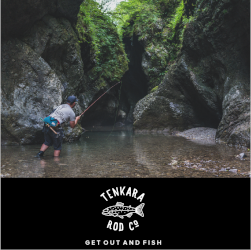 While this isn’t a full treatise on everything tenkara, it’s a good place to start and if you follow this short guide, you will have the gear you need to start catching fish right away with tenkara. Notice I emphasized the word “gear”. Gear is only part of the equation. In tenkara you utilize less gear and focus more on skill. So while the above is a good guide for the tools you’ll need, you still need to learn how to use them. You can’t hand a novice the perfect bow and arrow and expect them to hit the bull’s eye (or even the target) right off the bat. It takes practice. But luckily, the learning curve is short in tenkara and with the right tools, you will “hit the target” with a lot less frustration (and money) than you would in western fly fishing. 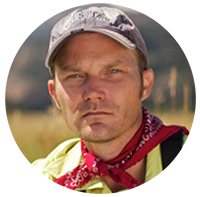 Another reason for a tenkara style net, such as Jason sells, is that with the tenkara netting, the netting is stiffer. I have found, to my pleasant surprise, that when using barbless hooks and hooking fish on the lip as one often does with tenkara, a netted fish often wipes the hook off by itself and sits right way up in the net for a photo, no handling required to de-hook or capture on film. Neat. 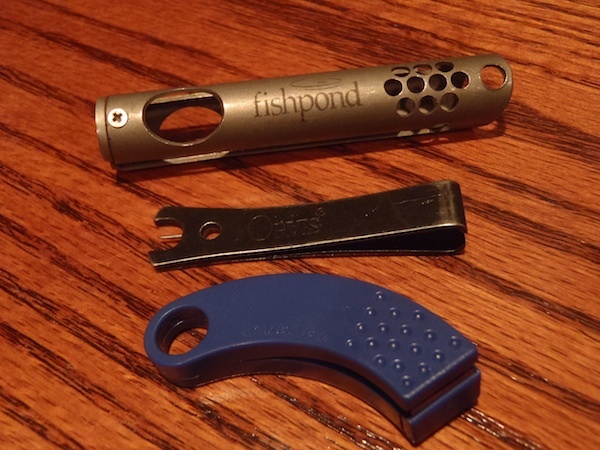 And for the Tenkara angler that now has everything…. Something to put it in? Thanks for breaking it down and making it simple as this. Love it! Jason – nice post. But I would add a wading staff. Maybe you young guys don’t call it a necessity, but I recommend that everybody get themselves a wading staff. I have a fancy collapsible Simms that I got as a present, but it could be a simple, broomstick with a tether. Except on the very smallest streams I count my wading staff as a required item. I would put it above net, line spool, floatant and strike indicators (say no to indicators). Thanks Anthony. I was just fishing with Chris Stewart (who always uses a wading staff) and there were a few crossings where I wished I’d had one. While a staff is a great piece of gear to have, I wouldn’t consider it essential. But I’d definitely place it in the optional category. Which one do you use? Now that you mention it, I have had this phenomenon happen to me before but never really recognized it until your post. A lot of my flies do come out in the net. I don’t know if it’s because of the stiffness of the netting but thanks for pointing this out. I have the Simms foldable wading staff – it’s very nice, I’ve been using it for years now without any problems. It has a neoprene holster, as well as a shoulder strap to wear when in use, so that it doesn’t go drifting away. It is a bit pricey though and I probably would have opted for a less expensive one, but I got it as a gift. Every time I go fishing, I think to myself “what did I do before I had a wading staff?” It has saved me from a dunking many times over. Great blog! You really put a lot of heart and mind into it. I’m a middle-aged, raw rookie to any type of fishing. I’ve been thinking of learning fly fishing for a couple of years. I just recently stumbled into Tenkara on the Web and realized that’s the route I want to explore. Do you still recommend the Ayu for someone like me, or do you now think the Ito is the better choice? I live in San Jose, California, so I could find myself anywhere from local lakes to the Sierras without leaving the state (I’m a backpacker and hunter). Hi Daryl, thanks for the kind words! I love both the Ayu and Ito but if I could just buy one, it would be the Ito. It’s got a great action in 13 ft. mode but gives you more flexibility when you extend it. Basically, you get two rods for the price of 1.5. Especially if you’re fishing lakes, you’ll like the ability to extend the rod to 14′ 7″. Thank you, Jason. Ito it shall be! Hi Jason, I am quite new to tenkara, and in fact new to fly fishing. I really like your site, very interesting reads. I just wanted to say that from my very limited experience, I would consider a line holder almost to be a required item. Went out without one a few days ago, and I spent about half of my allocated fishing time dis-entangling the line+tippet, which I had just thrown in my backpack. I now ordered a line holder, but until it arrives, I found that an empty toilet roll can make a handy replacement. Just cut a slit in the roll, slide the top end of the line in there, roll up your line and push the hook of the fly through the cardboard to keep it in place. You’ve just started tenkara and you’re already doing thinking of DIY solutions. I love it! Tenkara has the potential for a lot of DIY projects. I backpack the Cascades and the Olympic mountains. I chose a rod based on the recommendation of a rep at backcountry.com, long before I’d read reviews here and there. Mistake. I have a 12.5′ rod (Wetfly Tenkara Package 13′)–I want returned to me the 6″ of rod that disappeared between ordering and receiving it. The level line diameter just exceeds that of the 5x tippet. The furled line worked well–the level line did not. Chris S. explained how to rate my rod on the common cents “standard” — 41 pennies. He said, save the rod for nymphing, bass bugging or foam hopper fishing. All is not lost. Hey Jeff, don’t lose heart. One thing to keep in mind is that many of the specs in tenkara are approximate. So a “12 ft.” rod might actually be 11.9 ft. And a “#3” level line from one company might not be the same diameter as a “#3” from another brand. There’s a certain amount of quirkiness in tenkara which is probably due to a combination of translation from a foreign origin and a lack of standardization. But it all seems to work out in the end. Even though I’m usually a stickler for detail, I’ve learned to embrace the anomalies as part of tenkara’s unique personality. Good breakdown! I’d personally add polarized glasses to “need” list, both for vision enhancement, and for eye protection. Hey Matt, yep. Should have included glasses. A must-have in my opinion too. Thanks. Hello, experienced western fly angler, new to Tenkara. I consider a 1″ or smaller safety pin an important piece of optional gear. In fact I keep one on the lanyard with my scissor/clamp, and one with my nippers even if they have a pin for cleaning out a hook eye. Besides being able to clean a hook eye, a safety pin can usually be jammed through a wind knot or a closed up slip knot after pulling a level line off of a lillian. Close the safety pin and that knot cannot be tightened further. Alternate pushing each side of the line into the knot and the loop will begin to open after a bit until you can grab it with your fingers or hemostats. Works better/faster with stiff vs. limp; fluorocarbon vs. mono.